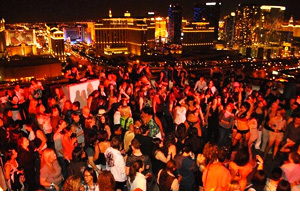 The excitement of Sin City at the wildest Las Vegas nightlife destination, VooDoo Rooftop Nightclub at Rio Las Vegas. VooDoo Rooftop Nightclub opens at 8 p.m. nightly and is located directly above the elegant and exotic VooDoo Steakhouse, Rio’s premier gourmet steakhouse. VIP bottle service is also available. The easiest way to VooDoo Rooftop Nightclub is by parking in the Masquerade garage. After the entrance door, walk a few steps and it will be on your left. 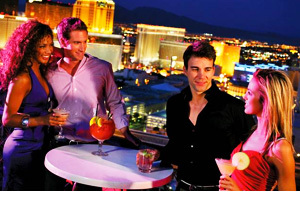 Located 51 stories above the city, VooDoo Rooftop Nightclub at Rio Las Vegas is located directly above the elegant and exotic VooDoo Steakhouse, Rio’s premier gourmet steakhouse. The view is that of the “50 yard line” of the Las Vegas Strip, even downtown Las Vegas is visible. VooDoo Hours: Sunday – Thursday: 8:00p.m. – 2:00 a.m. | Friday – Saturday 8:00p.m. – 3:00a.m.